By using its ro-ro capability, BigLift Barentsz loaded eight (16 wheeled) RTGs and a large STS container crane at the MES Oita factory, in Oita, Japan. 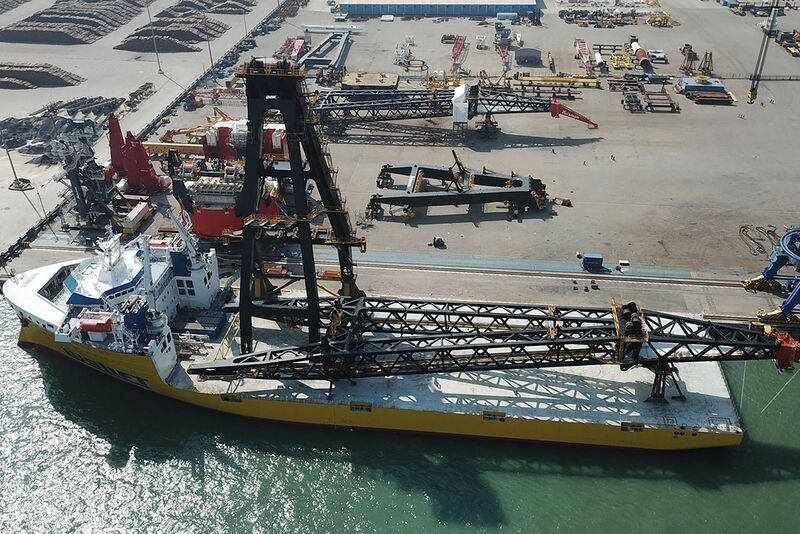 All the cranes are destined for Berth 21 of the Mombasa Container Terminal in Kenya. 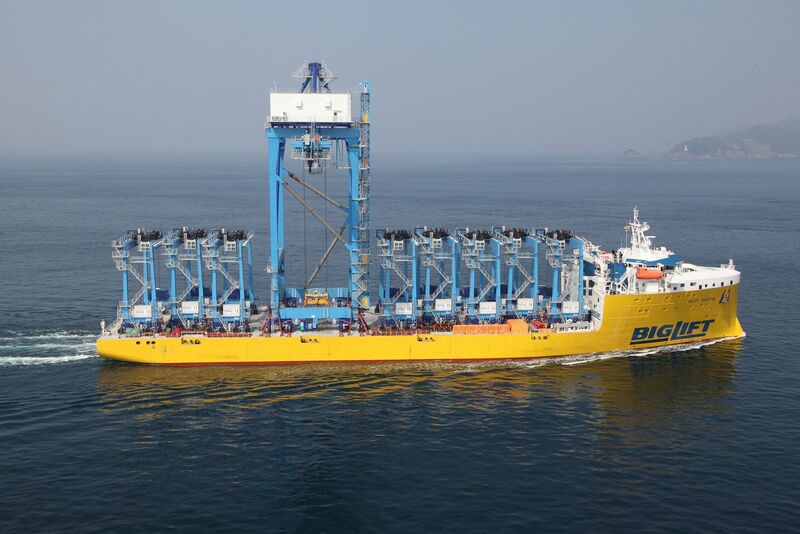 BigLift Shipping was assigned by Heerema Offshore Services B.V. to transport several crane parts for the new SSCV Sleipnir from the Huisman fabrication yard in Xiamen, China. 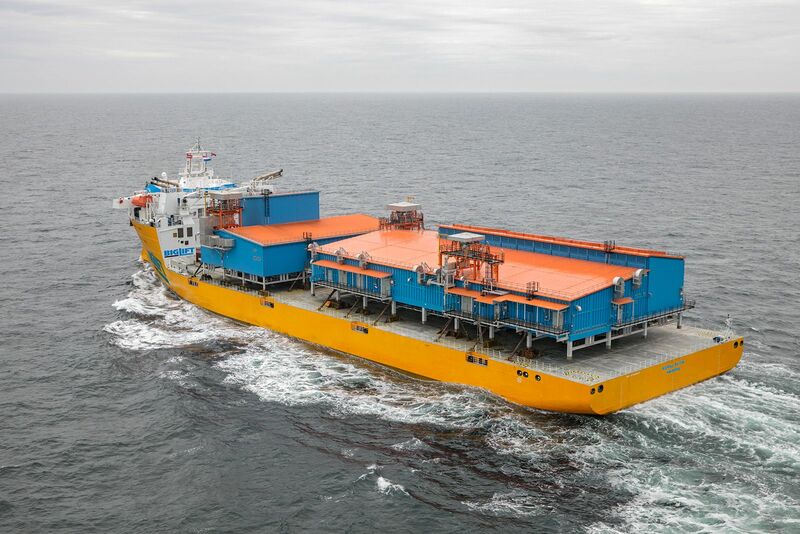 Sleipnir is being built and assembled at the Sembcorp Marine Shipyard in Singapore. The Yamal project is a major liquefied natural gas plant development in Sabetta, Russia, incorporating three LNG trains with a total capacity of 16.5 million tonnes per year.